Learn how the reshaping of consumer expectations is rapidly disrupting the food service industry and how you can maximize value from digital strategies. 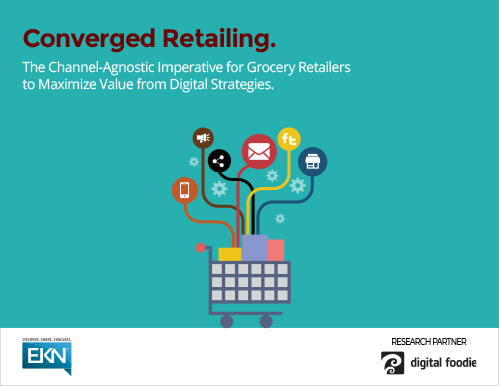 Converged Retailing: The Channel-Agnostic Imperative for Grocery Retailers to Maximize Value from Digital Strategies. 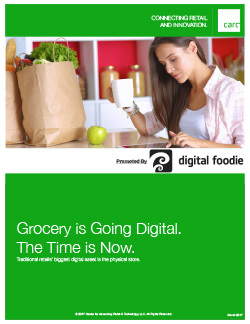 Grocery’s digital transformation moment has arrived. When the game changes as much, so do the rules. Grocers have no choice but to evolve. 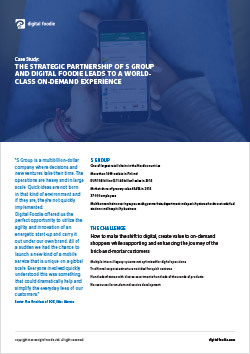 EKN Research, in partnership with Digital Foodie, conducted a survey of 45+ grocery retail executives to benchmark their perception, priorities and preparedness related to the digital transformation in grocery. Learn how the reshaping of consumer expectations is rapidly disrupting the food service industry and how you can maximize value from digital strategies.